Changes at Woda create industry-first for affordable housing. The Woda Group, Inc. and its affiliates evolve to Woda Cooper Companies, Inc., pioneers new employee ownership opportunity, and relocates headquarters. Columbus, OH, March 12, 2018…Affordable housing leader The Woda Group, Inc. and its affiliates have been renamed Woda Cooper Companies, Inc. effective January 1, 2018. The firm, with operations in 15 states, was also restructured to become the first vertically-integrated affordable housing company in the nation to be owned by an Employee Stock Ownership Plan (ESOP). The announcement was made by Managing Directors Jeffrey Woda and David Cooper, Jr. The company was founded by Jeffrey Woda as Woda Development and Construction, Inc. in 1990. Woda Management & Real Estate, LLC. More than just a corporate rebranding, this shift brings a new opportunity to industry professionals, Woda and Cooper said. With the implementation of the ESOP, Woda Cooper Companies will reward employees for their contributions in the business’s ongoing success. An ESOP is a tax qualified contribution benefit plan that vests ownership of a company in its employees. The company will continue to be overseen by Jeffrey Woda and David Cooper, Jr. as Managing Directors. The company is consistently among the top ten largest affordable housing developers in the United States. Its portfolio is comprised of senior, multifamily, student, veteran’s housing, permanent supportive, and mixed- income housing, as well as mixed-use properties. Developments include new construction, substantial rehabilitation, and historic renovation/adaptive reuse. “We are grateful for the success we have had over the years, and this reorganization will provide tremendous opportunities for our great team of hardworking, dedicated individuals,” said Woda. In addition to the reorganization, Woda Cooper Companies’ headquarters were relocated from Westerville, OH, to a newly remodeled space at 500 South Front Street in the heart of Columbus’ Brewery District. 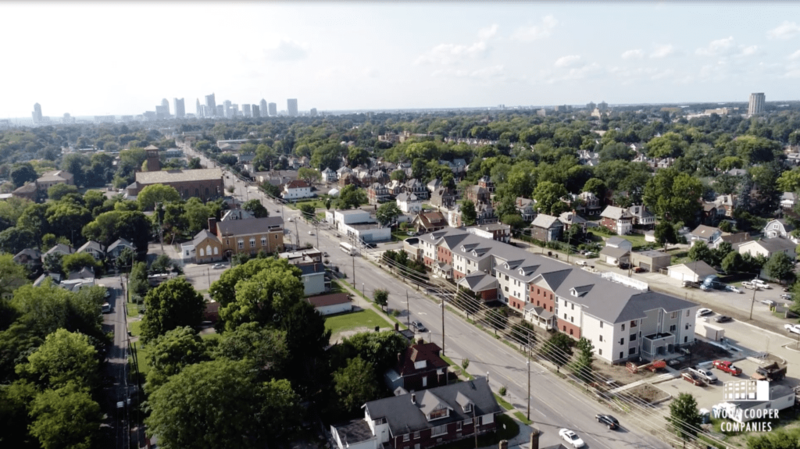 Woda Cooper Companies, Inc. and its subsidiaries have developed, constructed, and currently manage more than 300 affordable housing communities with approximately 12,000 units and a total development portfolio exceeding $1.5 billion. Woda Cooper Companies, Inc. operates in 15 states across the Midwest, the Mid- Atlantic and the Southeast. In addition to its headquarters in Columbus, OH, the firm maintains offices in Mackinaw City, MI; Savannah, GA; Shelbyville, KY; Annapolis, MD; Norfolk, VA; and Indianapolis, IN. The company has approximately 550 employees. For more information, call (614) 641-3200 or visit www.wodagroup.com. Photos of Jeffrey Woda and David Cooper, Jr., plus various new Woda Cooper Companies, Inc. logo can be found here.